When the new Inbox application by Gmail was announced a few days ago, I got so trigger-happy in sending the email requesting an invitation that I requested the invite twice from my personal Gmail and from my Business Google Apps account (more on that last one later). But I had been through this experience before (Ingress, Google Gallery...), and it can be really lengthy, so I did what any self-respecting technology-dependant person would do: I shamelessly intruded on one of the nicest guys I know, who also happens to work at Google, and pleaded my case. I make it sound way more dramatic that it actually was, since the Inbox invite landed quite quickly in my inbox (see what I did there?) with a "You're welcome" and a big smile. It's been almost 24 hours since I installed Inbox and I am surprisingly quite won-over compared to my usual resistance and cynicism as to why an app would want to re-invent an existing app that does pretty much everything one needs. I had been nothing but constantly gladly surprised by the Gmail app and Inbox was giving me the jitters. It just works gracefully and smoothly sorting out flawlessly existing emails in your inbox into various labels such as Travel, Purchases, Finance, Social, Updates, Forums, Promos while allowing you to create your own bundled label under your inbox. Your existing filters and old labels are still shown as unbundled labels. Material design oozes from every element of the app and its web counterpart (yes you get a web interface at inbox.google.com once you get your invite). The compose button is a much welcome deja-vu from Google+. The web version maintains Hangouts integration while inconspicuously tucking it in under an icon in the header Google bar. My main concern using the app was how it reflects on my existing inbox. Would sweeping an email or a folder delete it, hide it, archive it? I quickly found those answers using the Getting Started documentation. Notifications are now center-stage in the Inbox app and I wanted to see how it all fits in with Google Now, so I set a reminder using voice command and surely enough when I switched to Inbox it was showing prominently on top. One interesting feature that seems present although I did not have the chance to test is the location based notification when the app detects a geographically-linked action in your inbox. No settings for turning on and off the Reply All option. 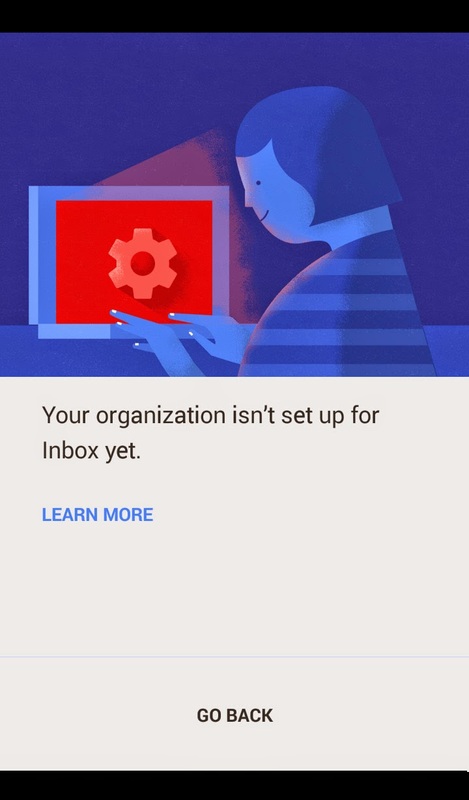 The lack of features might be unsettling at first but given the fact we are still at the early release stages of Inbox, I am pretty sure that plenty more enhancement are still on the drawing board. Along with all the feedback that will be pouring in, Inbox seems all set to be a serious contender for the throne of email apps.